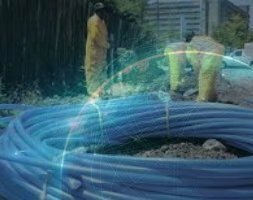 The Jordanian telecom Service provider Umniah and the Jordan Electric Power Company (JEPCO) will jointly form a new company for deploying fiber optic broadband in Jodan. Umniah, which is a Jordanian subsidiary of Bahrain-based Batelco will utilize the infrastructure owned by JEPCO to deliver high-speed broadband services over fiber optic cables. The partnership to set up a new company to create the infrastructure for a large-scale fiber optic network servicing the areas operated by Jepco will be a new chapter in the broadband history of Jordan. JEPCO has been making trials by itself in order to study the fiber optic network deployment options using its existing electric cable poles. The electric utility company was in discussion with various providers primarily with Umniah for broadband services. The new company will deliver wholesale high-bandwidth internet services to telecom companies and service providers, eventually reaching more than 1.4 million homes and businesses. 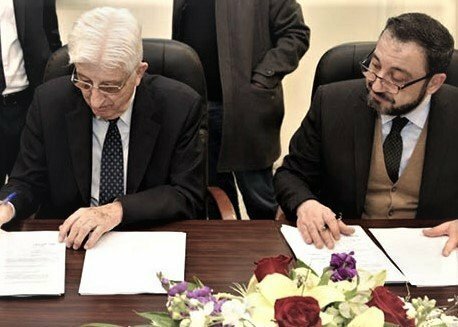 An agreement was signed by Umniah’s CEO Ziad Shatara and JEPCO chairman Isam Bdeir. Under this partnership, a new company co-owned by Jepco and Umniah will be established. After receiving all necessary permits and certifications, the new company will roll out a new fiber optic network covering all areas in which Jepco operates. This, in turn, will serve subscribers of both companies in addition to offering wholesale services to other service providers. The network infrastructure will be mainly aerial type in order to utilize electric poles owned by JEPCO. It is estimated that roughly 60 percent of the civil construction cost could be saved by using aerial deployment. Underground installation requires the acquisition of a lot of ‘Right of Ways’ and digging work that often halts daily life apart from being costly. Regulation in some countries does not allow aerial deployment of cables due to concerns that range from the beauty of landscape to the safety risks. Aerial cables are often resting places for birds and are therefore prone to damages. However, the ease of deployment makes it an attractive option for network builders especially for companies like JEPCO who owns the poles. The new fiber optic network will help countless communities gain access to reliable broadband internet and to experience the full potential of the modern digital age. Since JEPCO owns the physical infrastructure required to install fiber optic cables and connecting devices. Ihab Hinnawi, the CEO of Batelco Group commended the efforts of Umniah to revolutionize the Jordanian telecommunications landscape and to support the efforts of the government to create a digital economy. He further underscored Batelco Group’s confidence in Jordan’s economic and investment potential, noting that this agreement will help broaden the scope of investments made by Batelco in the Kingdom.